Artlantis 2019 is available now, and the latest 2.17649 update offers a number of improvements and updates, including the connectivity of Artlantis plug-ins. Released last December, Artlantis 2019 combines the power of Artlantis Render and Studio, introducing efficient features for creating photo-realistic architectural renderings. The updated ARCHICAD 19, 20, 21, 22 plug-in to Artlantis supports the new format of Atlantis 2019. Artlantis 2019 users can now use a reference file from ARCHICAD. 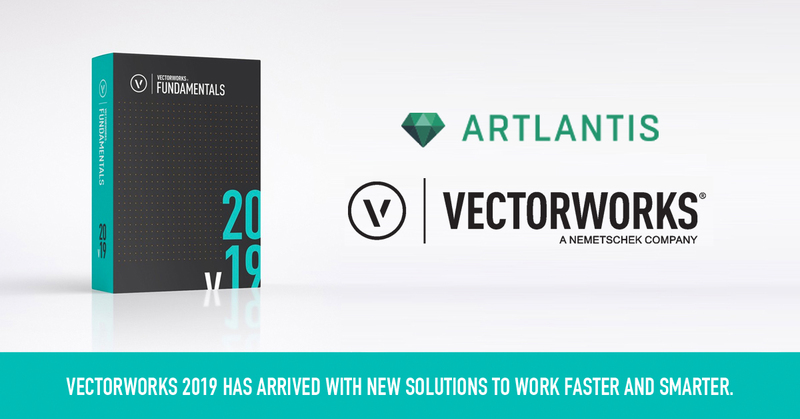 With the new Vectorworks export plugin, Artlantis 2019 users have options to choose the compatible Artlantis 2019 format under the export option. Users can now use the “Update Existing File” option in Vectorworks. Added the option to clip or not the Lights and Cameras in 2D View. Added the Insertion Views in Batch Render Dialog. The Autosave function for .atla files, which generated strange folder names has been fixed. Removed grey screen when starting Artlantis with a drag & drop of the file on the Application icon. The License Manager can now run on HD 3840 x 2160 px screen with a display scale different than 100%. It’s possible now to export an .Atla document in .SKP, .OBJ, or .DWF format several times in a row. Animated characters now keep their posture when duplicated. Fixed Missing frames in Animation. Fixed 3D grass when using Architect Camera. 3D plants can now be hidden when changing their layers. Abvent have developed a variety of export plugins so you can avoid using a standard exchange file format between your modeler and Artlantis, as well as the risk of losing information that method involves. 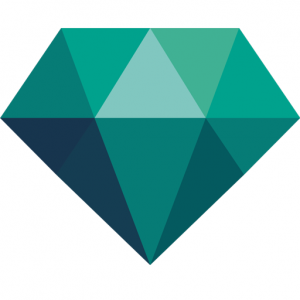 The latest plugin for Vectorworks is ready to download and use right now. Artlantis allows you to use models designed with almost all of the 3D applications on the market, without losing any information! As stand-alone rendering software, Artlantis can import many commonly used 3D formats including .DXF, .DWG, .OBJ and .3DS. Artlantis is compatible with many other 3D packages including SketchUp Pro, Rhino, and more. Click here to view Artlantis plugins. 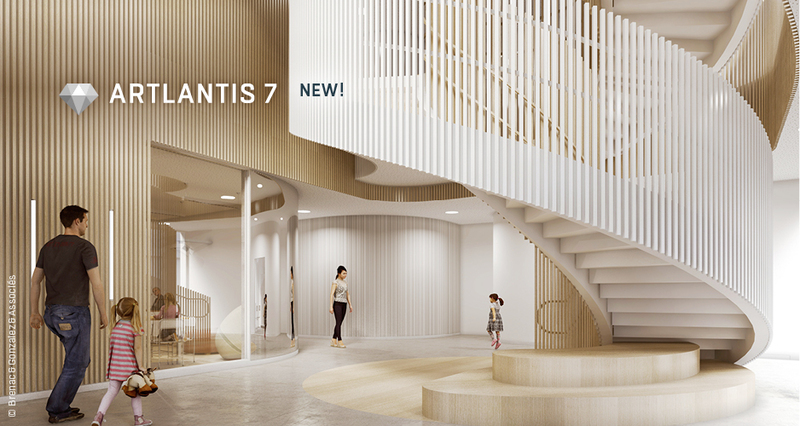 Abvent R&D have been hard at work in recent months updating Artlantis and are pleased to announce that Artlantis 7 has been released! Artlantis 7 boasts a number of new features maximising calculation speed and rendering accuracy. In addition, this latest version introduces Twinlinker, an application allowing users to create and share virtual visits of their Artlantis and Twinmotion projects online instantly and easily. Join a live webinar led by Ildikó Szabó of Abvent who will walk you through a workflow demo of Artlantis 7, highlighting all the fantastic features this latest version has to offer. Improved artificial lights: The artificial light sampling method, which is more precise, improves the energy diffusion of the light sources in the 3D scene and reinforces the reflection of the satin materials with a brighter gloss. Adaptative anti-aliasing: Smarter anti-aliasing makes it possible to detect the areas to be treated, optimising calculation and reducing rendering times as a result, with no alteration of the quality of the image. Twinlinker, the virtual visits app: Developed by Abvent R&D, Twinlinker allows you to create and share virtual visits of your projects online instantly and easily. Just export your images, panoramas and videos created in Artlantis 7 to Twinlinker, then link them to create virtual visits to share widely by email (a simple link) or make available on your website. Abvent will host two, free webinars to help you get up to speed on the fantastic features found in Artlantis 6.5. Do you have questions about Artlantis? Feel free to post them in the chat panel during the webinar! All questions will be answered either live or within a very short period of time following the event. The webinars are free, but space is limited! Artlantis 6, the latest version of Abvent’s stand-alone rendering application developed especially for architects and designers, boasts a brand-new physical engine, new lighting options, and other exciting features making Artlantis a clear choice for architects and designers in over 80 countries worldwide. Artlantis 6.0.2.12 is now online. This version fixes several stability and media manipulation concerns, as well as improves the quality of the Irradiance Map in camera animations. Download the newest version of Artlantis 6 here. The export plug-in from Revit 2016 to Artlantis 6 is now available. It can be found in the Windows section of Artlantis’s Download page. Read more about how to use the Revit export plug-in here. To take advantage of a wider screen, the Artlantis 5 interface has been completely redesigned, optimising the project’s display and offering an even larger preview. The Artlantis 5 interface is based on a single clear window, standardised on both Mac OS and Windows, making it easier and more comfortable than ever to work on your projects. The working window is now more readable with the inspectors grouped at the top of the screen, the lists on the left and catalog at the bottom of the screen. As a result, the number of clicks needed to access the desired feature has been considerably reduced. Using the new media catalog is fast and efficient. Its organisation into subcategories allows you to choose the most appropriate media for your project in seconds. For better use of your workspace, the catalog window can be moved independently onto a second screen. In Artlantis 5, each perspective view now has its own infinite ground with altitude and material, as well as background and foreground images. Handling, re-sizing and adjusting backgrounds and foregrounds is easier than ever. Artlantis 5 also introduces a new function, the Architect camera, displaying the project in two vanishing points to obtain real verticals, particularly useful for high vertical projects. Taking advantage of the new catalog, Artlantis 5 includes new shaders, some of which are optimised with additional parameters such as relief mapping to better simulate the depths of surfaces. In addition, non-repetitive tiling shaders and multi-texture natural shaders simulate natural surfaces like ground, grass, and water. Handling shaders or simple textures in the preview or in the 2D window is easy. A preview controller allows you to move, resize, and rotate shaders and textures. A simple keyboard shortcut is all it takes to snap a shader or texture to the geometry automatically. Objects are handled with the same ease in the preview or in the 2D view, and can be snapped to edges, moved, rotated, resized and duplicated. With new ’vertical guides’ in Artlantis 5, lighting can be edited quickly and easily in both windows. It allows you to position the direction and fall-off of a single light or of a selection of lights right in the 3D space. Artlantis 5 simulates the volumetric effect of a light by adding a cone of light at each spot in your scene. With Artlantis 5, the manual heliodon can be set easier than ever by adjusting the angles for zenith and azimuth right in the Inspector. The volumetric effect of the rays of light, or ‘God rays’, can be added in post-process in the heliodon settings. To give you greater freedom in image reprocessing, these effects are recorded in specific layers when exporting in PSD. In Artlantis 5 Studio, iVisit 3D becomes an integrated part of Artlantis allowing users to create VR objects in addition to panoramas. Thanks to this integration, you can navigate in the preview the same way as in a final panorama and add parallel views with just one click. The display quality of iVisit 3D panoramas and VR Objects is better than ever, whether you’re viewing on a website or on a mobile device. The Artlantis Studio 5 Timeline has been optimized to ensure precise control of all events and movements associated with your animations. Each animated parameter is now presented as a track and as a hierarchical list. With magnetic guides, the key frame will snap automatically and graphically, ensuring a fluid connection and simplified synchronization of sequences. Finally, to enhance your animation, new, high-definition 3D characters are available for sale in the Media Store.